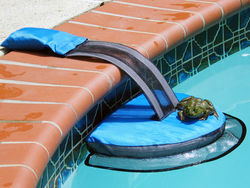 FrogLog® is a simple, cost effective device that allows small animals to escape from your swimming pool should they happen to fall in. 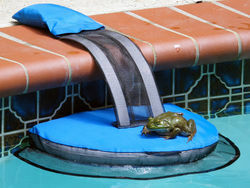 Frogs, lizards, possums, quolls and all manner of small animals will be able to use FrogLog® and save themselves from drowning, which will mean less maintenance for you dealing with live or dead wildlife and keeping your pool cleaner by reducing bacteria from animals. FrogLog was created by Wildlife Biologist, Rich Mason in the USA and has saved over 1 Million + animals worldwide and is sold in 23 countries! 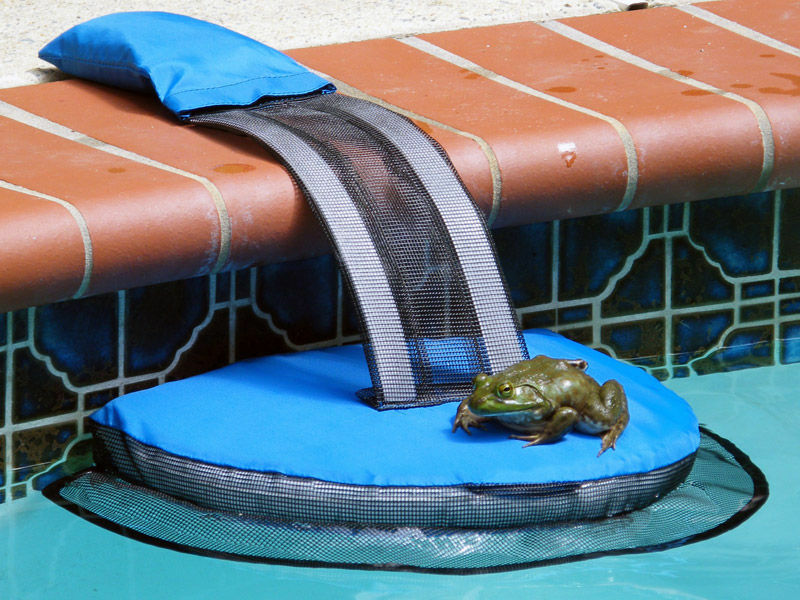 On top of saving native wildlife, FrogLog® is made from soft materials and is safe around kids and pool surfaces and has even led to a reduction of insects in pools when used. The set up time is about 5 minutes and once set up, simply place the float in the pool and the weighted pouch on the pool deck. The FrogLog® is not permanently attached. 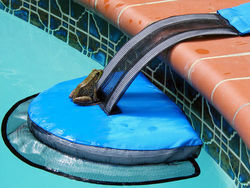 The FrogLog® should always be in the pool at night when animals are most active. It is important to use the proper number of units based on your pool size and other factors. For most effective results, refer to the table below to see how many you should use for your size pool.